I absolutely love geography and history. I have spent my academic career at Saint Louis University (a Jesuit school in yes, St. Louis, Missouri) and the University of Houston. I also am currently finishing up a dual credit master's degree in History and Curriculum and Instruction at UH. I am highly interested and involved in social studies curriculum. I've been a reviewer for World History textbooks, an assessment writer for Houston ISD, and a member of the Texas Teachers Teaching American History grant from the U.S. Department of Education for several years. I am also involved in curriculum writing for Holocaust Museum Houston. I've taught US History (Academic and AP), World History (Academic and AP), and currently I teach AP European History (my love!) and Pre-AP and Academic World Geography at HSPVA. I was honored as one of Houston ISD's six Secondary Teacher of the Year Finalists, and was a finalist for HEB's State Educator of the Year in 2015-2016, and this past year was chosen as the recipient of the Kemerer Award from the Texas Administrator's Legal Digest and Texas Association of Secondary School Principals as the Texas Outstanding Teacher of Social Studies. (I had to speak to 2,000 principals for this one!). 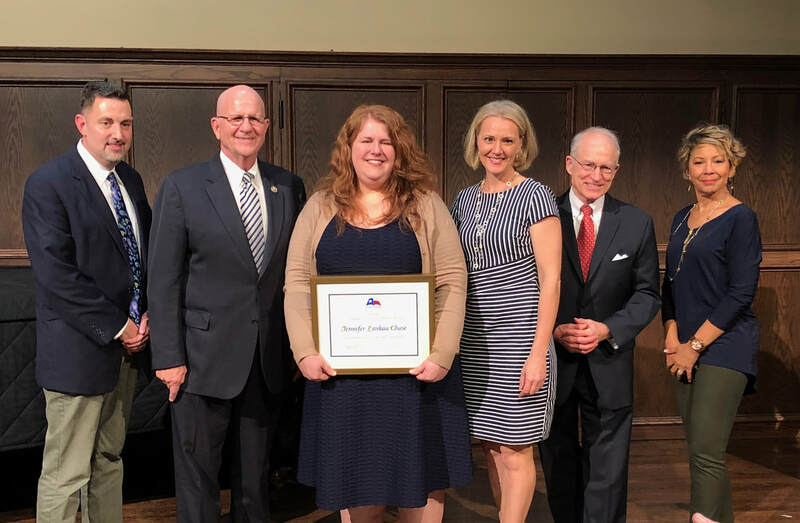 I was also very honored to be chosen as a 2017 winner for Humanities Texas and the National Endowment for the Humanities as one of five Outstanding Teachers of the Humanities. I really, really love teaching and I am glad it shows! I was born in Michigan, although my parent's families are from Iowa and St. Louis, MO. We moved to the Houston area when I was in middle school. I still have all my family in the Midwest and enjoy visiting them and St. Louis and Chicago as much as possible. I have lived in Bavaria, Germany (Garmisch-Partenkirchen) where I spent a summer working at a Benedictine Monastery to practice my German, and London, England for several years. I've also spent extended time in The Hague in the Netherlands. I have traveled all over the globe and take any travel opportunities that come my way. Last summer I was invited to attend the Beijing International Student Exchange Camp with four students from HSPVA. We were in Beijing for 10 days with 872 other students from 32 different countries and visited The Great Wall, Forbidden City, Temple of Heaven and other important sites in Chinese history. In 2016, I was very honored to be chosen as part of the American Gathering's Holocaust and Jewish Resistance Teacher's Program. 20 teachers from around the United States were sent to Germany and Poland to study the Holocaust for three weeks. While I have spent a great deal studying the Weimar Republic, the rise of the Nazis, and the Holocaust, and maintain close ties to the Holocaust Museum Houston, this trip was transformative in so many ways. And every March I help introduce PVA kids to my favorite places in Europe with Mr. Bingham, Mr. Perez, and Ms Diaz. I love learning about the world around us and how our world affects our humanity. My academic focus has generally been interwar Europe, but as an Irish-American, I also love learning about anything Celtic and keeping basic Irish traditions alive in my family! I have two children and am as involved as I can be in their education. My daughter will be going into 12th grade at HSPVA and plays the Oboe, and my son is in 8th grade and has played piano since kindergarten and is working on bassoon. Both are labeled as GT students, so I have not only professional knowledge of teaching GT kids, but also personal knowledge of parenting them (not always as easy as people might think!). I recognize that just because you are gifted in one area not all things come easily to you. It is my goal to instill good work ethics in my students as well as in my own "personal" children. I believe strongly in the adage, "Hard work trumps talent when talent doesn't work hard." If you have any questions, please do not hesitate to ask or reach me through the contact me page! I'm looking forward to another great year at HSPVA. Welcome! If you are curious as to why I think Social Studies is so important and have five minutes to spare, you can listen to this address I gave in Austin to Texas principals and other educators. Video of Ms. Chase and her 2015 4th period Pre-AP World Geography class taken for Holocaust Museum Houston's outreach programs. Receiving the Humanities Texas Outstanding Teacher of the Year from Congressman Ted Poe.